Check out Andrea, owner of Carina e Dolce, on Fresh and Local! 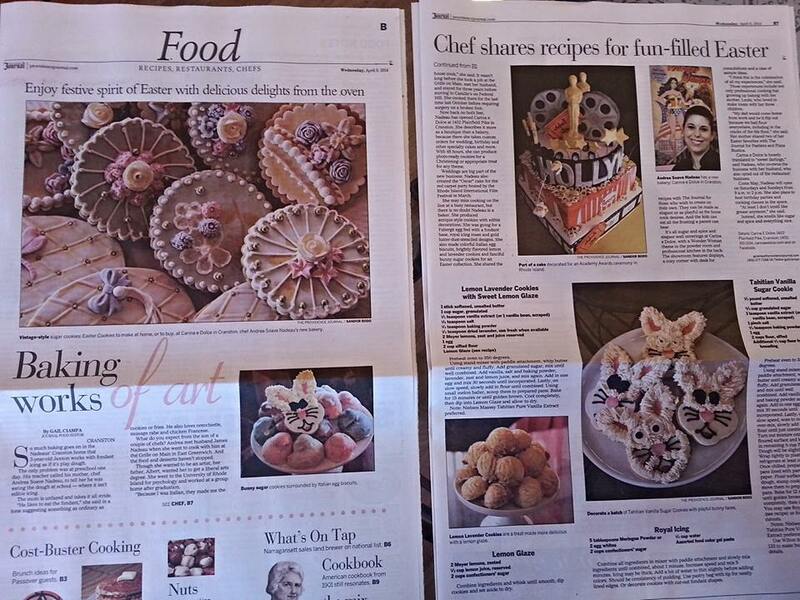 Check out todays food section of the Providence Journal Bulletin for our featured article! Carina e Dolce will be attending the Original Wedding expo at Twin River Casino in Lincoln, RI April 6. We will be there with our wedding team Hitched! Come meet some of Rhode Island's best wedding vendors. The countdown is on, The Oscar's and The Red Carpet Experience are just a few nights away! 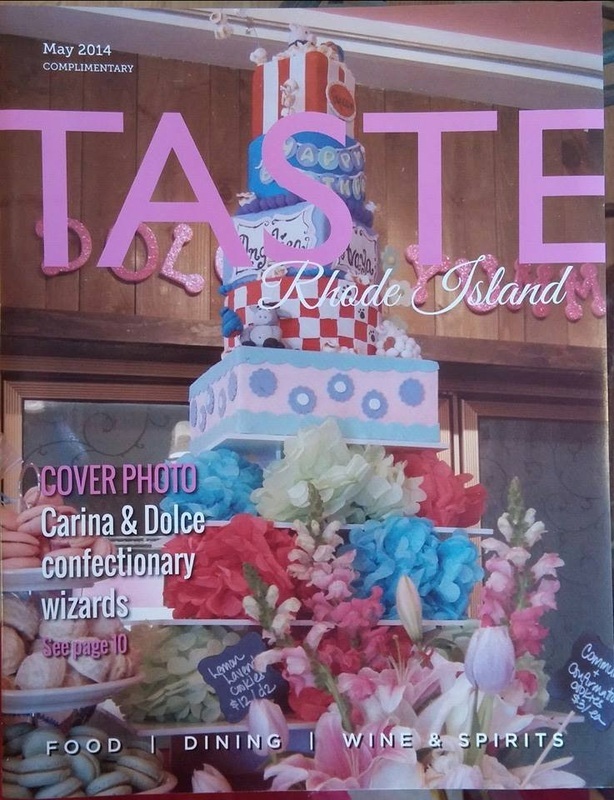 And one of the best parts of any party...the cake.Andrea Soave Nadeau is the Co-owner and Cake Designer at Carina e Dolce Specialty Cakes in Cranston. She is responsible for the six layer cake that will be at the Red Carpet Experience Sunday night.Black tuxedos and Chanel dresses, exactly what you would expect to see on a red carpet, but on a cake? Andrea said, "I just thought about what Oscars meant to me and I was actually laying in my bed stressing out, and I woke up and thought formal wear! And the next day I woke up and finished. "The only instruction she received was to bake a cake that fed 150 people. The rest was up to her. She explains the flavors, "The rest of the cake is between strawberry pink champagne flavored and vanilla, Tahitian vanilla flavored. "Just about everything on the cake is edible, including the popcorn pieces. She says the entire cake will take a total of 24 hours to complete. She still has some finishing touches to add. Explaining, "Some hand painting, I want to add the numbers to get the countdown from the filmstrips from back in the day and I want to do a little more detail work. "The only task Andrea won't be completing is the slicing of her art work! She said, "It's kind of devastating, it is, especially with a piece like this that's so beautiful it looks like cloth and it will just crumble. "Carina e Dolce isn't officially open yet but Andrea will open the shop by request.